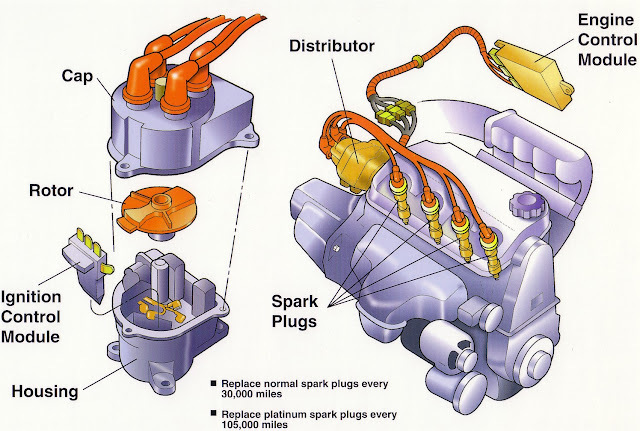 The purpose of spark advance mechanism is to assure that under every condition of engine operation, ignition takes place at the most favorable instant in time i.e. most favorable from a standpoint of engine power, fuel economy and minimum exhaust dilution. By means of these mechanisms the advance angle is accurately set so that ignition occurs before TDC point of the piston. The engine speed and the engine load are the control quantities required for the automatic adjustment of the ignition timing. Most of the engines are fitted with mechanisms which are integral with the distributor and automatically regulate the optimum spark advance to account for change of speed and load. Ignition advance is the condition when ignition of fuel occurs earlier than the correct ignition timing. Ignition of mixture takes place near the end of compression stroke.If the ignition is advanced it means fuel-air mixture will burn too early before the end of compression stroke. In this case, the crank and connecting rod will have to push the piston in order to compress the gases (for completing the compression stroke). In this situation, the force applied on piston by the connecting rod in upward direction may not be able to overcome the downward force acting on piston.This downward force acting on the piston is due to enormous pressure generated by the combustion of fuel. Under this condition, the engine may stop or stall.Spark advance may also cause the fuel to explode suddenly under certain operating conditions. (a) Centrifugal spark advance mechanism. (b) Vacuum spark advance mechanism. Ignition timing is first set manually. After this these mechanisms are used to modify it suitably. 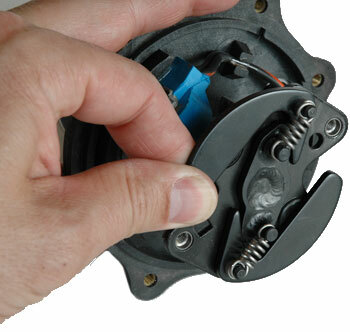 This mechanism consists of two fly weights, a base plate, cam and a spring. Fly weights are also called advance weights. The base plate is fixed to the drive shaft.The fly weights are rotated by distributor drive shaft through the base plate. The weights are pivoted on the base plate and also attached to the cam with the help of springs. The cam is also joined with the distributor shaft through springs, flywheel and plate. If engine speed increases, the fly weights are displaced out radially due to centrifugal force acting on it. Movement of weights causes the ignition advance (spark advance). 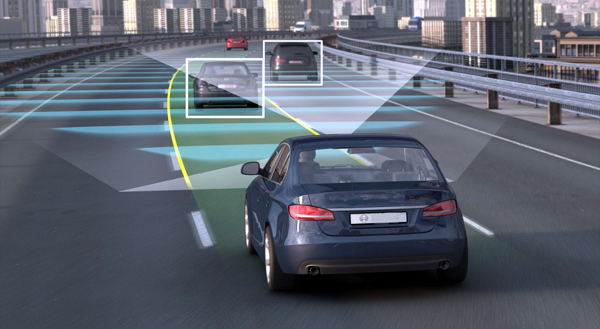 At low speeds there is no advance while it is full advance of very high speeds. Vacuum advance mechanism consists of a diaphragm whose movement automatically advances and retards the ignition depending upon engine speed and other operating conditions.On side of diaphragm is connected to the induction manifold and other side is connected to atmosphere. (Induction manifold is at lower pressure than atmospheric and this pressure depends upon engine speed). The diaphragm is connected to the distributor through a linkage.As engine speed increases the pressure on one side of diaphragm decreases. This change in pressure controls the movement of diaphragm which ultimately controls the ignition timings. At normal position of diaphragm the ignition timing is set at fully retarded position. As engine speed increases the ignition timings are advanced.